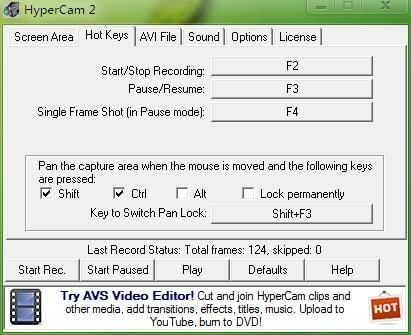 HyperCam - A small but poweful screen recording software. 100% Freeware, FREE download v1.27 for Microsoft® Windows®, 127 KB. 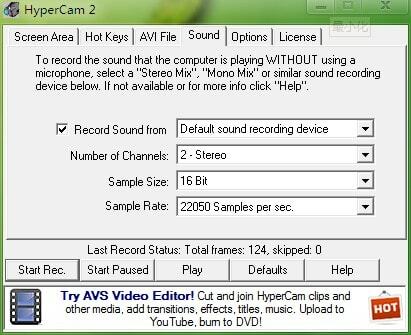 HyperCam is a small but powerful screen recording tool, and has sound recording and screen note features, the new version is already released as freeware. Though it is so small, but has complete screen recording features, supports recording window, custom area, shortcut keys, sound recording, video settings, screen note (in order to do the text note during recording). The test result is pretty good. Online installer, in some countries, it is too slow. Cannot save the recorded video as AVI format.